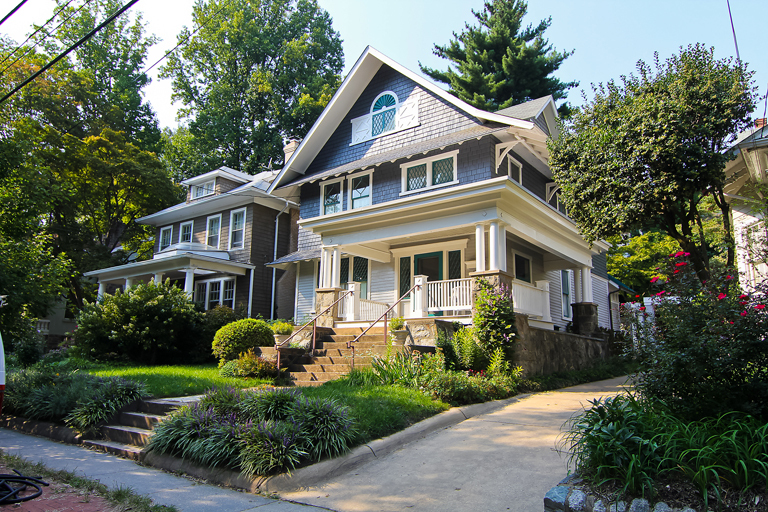 Cleveland Park is a residential neighborhood in northwest Washington, D.C. bounded approximately by Rock Creek Park to the east, Wisconsin and Idaho Avenues to the west, Klingle and Woodley Roads to the south, and Rodman and Tilden Streets to the north. 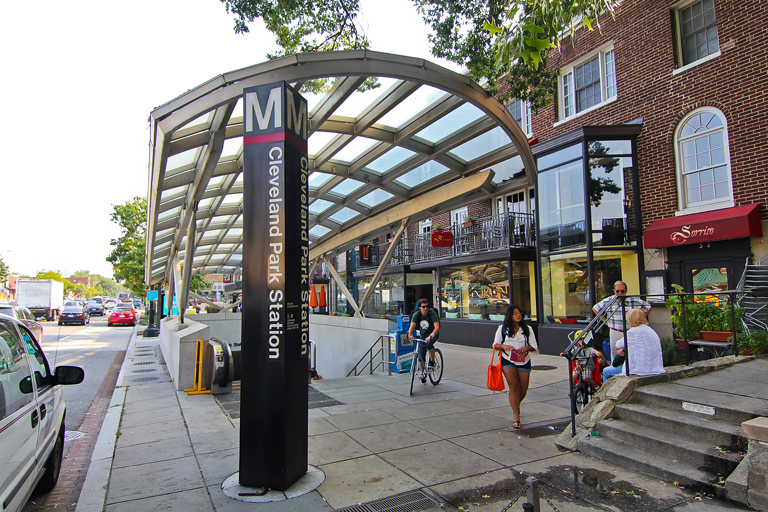 Its main commercial corridor lies along Connecticut Avenue, NW, where the Cleveland Park Red Line Metro station can be found. The neighborhood is known for its many late 19th century homes and the historic Art Deco Uptown Theater. 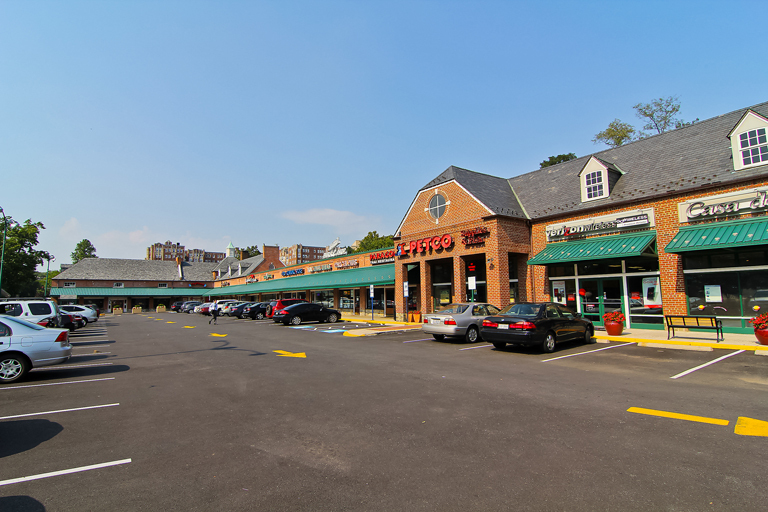 It is also home to the original Park and Shop, built in 1930, as one of the earliest strip malls and there are plenty of restaurants, shops and itÍs easy walking distance to the National Zoo. Many early developed homes were intended to be used as summer houses in the era before air conditioning with architectural features such as wide porches, large windows, and overhanging eaves. After electric streetcars connected Cleveland Park to downtown Washington in the early 1890s, the neighborhoodÍs second phase of development as a “streetcar suburb” began with houses designed by individual architects and builders resulting in an eclectic mix of the popular architectural styles of the time. As a result, houses of very different sizes, natures, and styles can often be seen next to one another. The zip code for Cleveland Park is 20008.